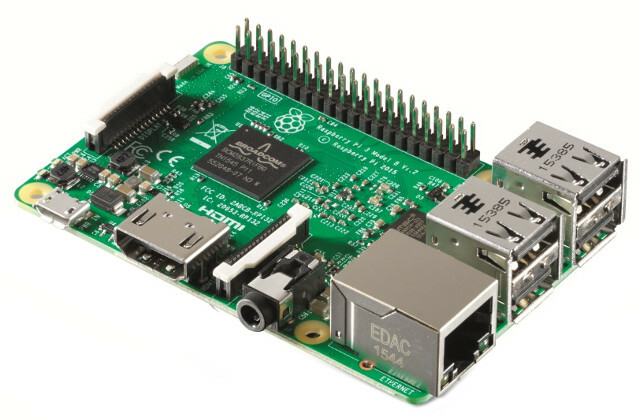 The next generation: The new Raspberry Pi 3 Model B is faster and more powerful than its predecessors. It is based on the newest Broadcom 2837 64-bit ARMv8 processor clocked at 1.2 GHz and comes with integrated WLAN and Bluetooth modules. The added connectivity via WLAN and Bluetooth, its multiple connectors like HDMI, USB, LAN, Audio, and its new, powerful ARMv8 quad-core processor Broadcom 2837 clocked at 1.2 GHz make this single board computer an outstanding package. The RPi 3B board has the same format as its predecessor Raspberry Pi 2 Model B, only the position of the LEDs has changed.